PURE HONEY helps stop the itch caused by dry sensitive skin, cradle cap, & eczema. Honey contains vitamins, minerals, is antibacterial, attracts moist and heals the skin. ORGANIC ALOE LEAF JUICE has 32 vitamins & minerals, 75 nutrients & hundreds of active enzymes to soothe and moisturize skin and can help heal diaper rash. ORGANIC SHEA BUTTER has a high concentration of natural vitamins and fatty acids making it incredibly nourishing and moisturizing for babies skin and big kids too. 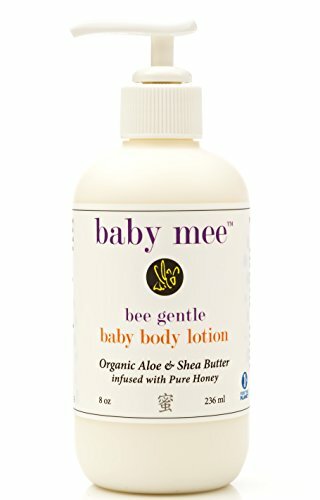 Mee Beauty donates 1% of all sales to 1% FOR THE PLANET earmarked for charities that educate kids on the importance of our pollinators, how to grow food, and eat healthy. Final Price as low as $13.50 Shipped!